The MMAWeekly.com rankings list the Top 10 MMA fighters from around the world in each of the most widely accepted weight classes, as well as a Top 10 mixed pound-for-pound list ranking the best male and female fighters. Fighters from any mixed martial arts promotion are eligible. Taken into consideration is a fighter’s performance in addition to win-loss record, head-to-head and common opponents, difficulty of opponents, and numerous other factors in what is the most comprehensive rankings system in the sport. 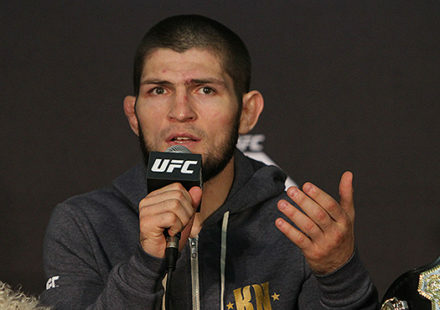 The divisional rankings put a particular emphasis on recent results, while a fighter’s career, particularly if he or she has fought in multiple weight classes, adds considerable weight to the pound-for-pound ranking. Though we don’t have a strict timeline for fighters to compete, an athlete’s inactivity can also have an effect upon his or her rankings consideration. Feel free to get your shred on (or leave your top picks) in the comments section below!